Updated Friday September 8, 2017 by POB Soccer. 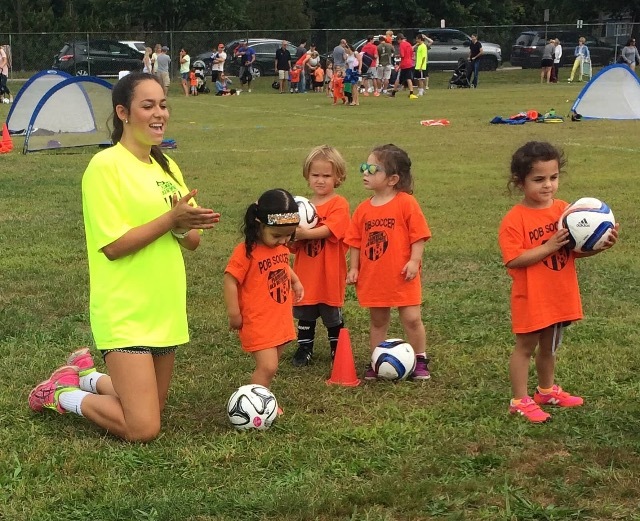 The "Little Nuggets" Program is a developmental program for toddlers designed around the sport of soccer. Soccer is simple for even the youngest toddlers to enjoy. Soon after walking, toddlers start to use their large motor skills to run, jump and kick! These skills directly translate into the game of soccer and they quickly begin to enjoy putting the ball into the net. Building strength and coordination at a young age gives children a physical developmental advantage. Learning to work with teammates helps develop social skills. The earlier a child can start teaching their bodies the correct form for kicking and passing, the better chance they will have to develop advanced abilities. Also teaching the joys of exercise and team sports can help them learn habits that will keep them healthier and happier in the future. 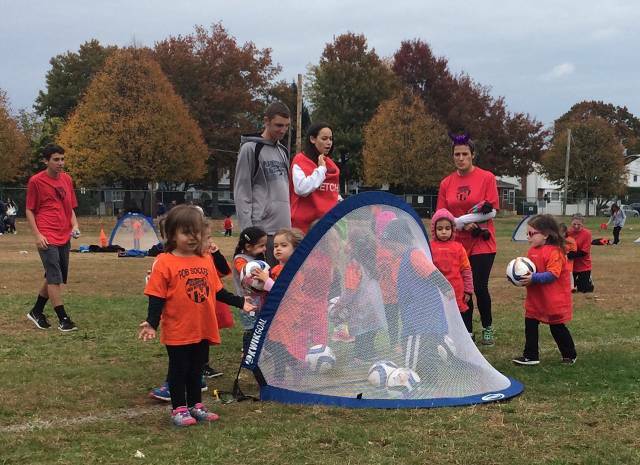 Our curriculum was designed by soccer trainers together to ensure that your child not only enjoys coming to our weekly sessions, but also is learning the fundamental motor skills required of the sport. Our trainers are chosen carefully on their personality and energy to keep your toddler interested in each and every activity. Due to the high quality of our staff and top help grow new relationships - we do not accept and "friend requests" within this program. 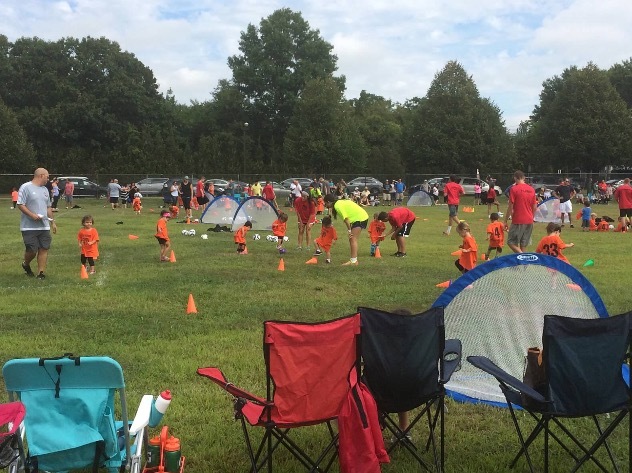 All age groups are run by experienced soccer instructor/trainers using a proven curriculum. All age groups focus on developing motor skills, encouraging team spirit, and instilling self-confidence in a non-competitive atmosphere. We offer the best value toddler program including highest "player to instructor" ratio with many extras. Soccer is an excellent beginning because it utilizes the largest muscle groups (the legs). 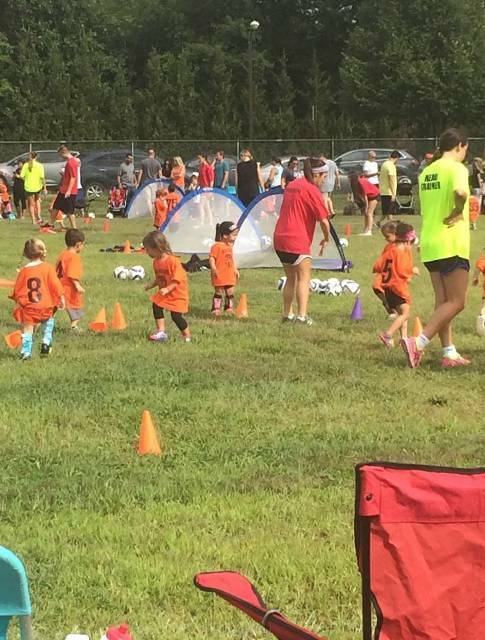 Kids love to run, and soccer is all about running. The hard part is connecting running to running with a soccer ball. 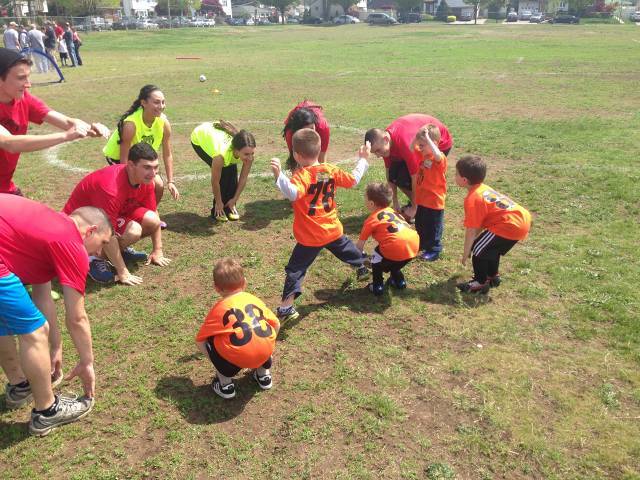 How can the kids learn to use a soccer ball in their fast-paced play? Team concepts are approached, but don't hold your breath that anything resembling soccer will appear! At 3 years old, kids play “at” soccer, they won't work together to play soccer. And that's OK! They can still score some goals, they can fly like airplanes afterwards in celebration, and they can high-five the nearest outstretched palm. Dress your child in athletic clothing (shorts, t-shirt, sweat pants, etc) we will supply you with a free soccer shirt.